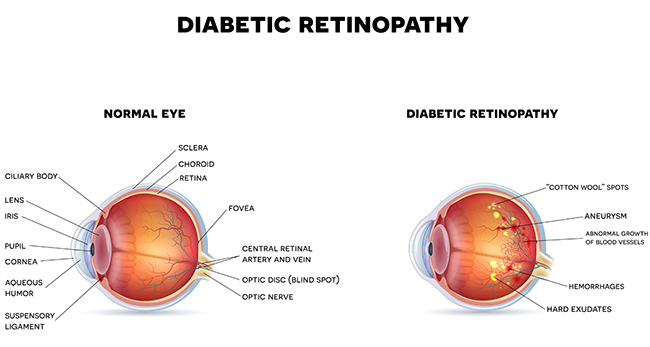 Diabetic retinopathy is a polygenic disorder complication that affects eyes. It's caused by injury to the blood vessels of the sensitive tissue at the rear of the attention (retina). At first, diabetic retinopathy might cause no symptoms or solely delicate vision issues. Eventually, it will cause cecity. The condition can develop in anyone who has type 1 or type 2 diabetes. The longer you have got diabetes and therefore the less controlled your glucose is, the more prone you're to develop this eye complication.